It could just be a coincidence, but we're starting to think that the launch of any Toshiba tablet has to be preceded by a multitude of rumors about its name. With the original Toshiba Thrive only being named after months of rumors, it now looks as if the company’s next tablet is heading down that very same path. Thanks to the detective work of Babyfacemagee of The Thrive Forums, a US trademark filing by Toshiba American Information Systems for the name “Excite” has been uncovered. Filed under “Tablet Computers”, the listing sits right alongside the Toshiba Thrive; which received the same treatment prior to its naming. 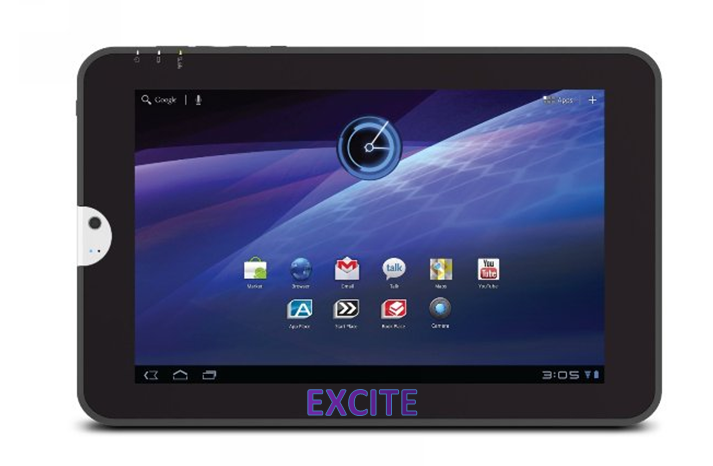 In addition, Toshiba has been busy reserving a variety of domains relating to the moniker, including “excitetablet.com”, “toshibaexcite.com”, and the “toshibaexcite.com” among others. Unfortunately, the sites have yet to be populated, and they redirect to a Toshiba reseller program that provides no additional info. We first heard of a successor to the Thrive thanks to an earlier report which indicated that the device would be unveiled at the IFA trade show in Berlin. The new tablet will reportedly be slimmer than the bulky Thrive, but could hold onto the many ports that made the Thrive appealing. In any case, the show begins tomorrow,the 2nd of September, and we’ll hopefully have something official soon.